Author James Wesley, Rawles, of www.survivalblog.com fame, is probably the world's foremost authority on crisis preparedness. Jim and I go way back. I have been a key sponsor of his blog for as long as it's been online. Our common intelligence background many years ago too brought us together (along with the late survivalist Ron Hood) in our strong belief in the need to help get America prepared for what is in our future. Effective today, Safecastle is taking international orders for most everything we sell! Huge Sale: Lindon Farms Emergency Food - Now 15% Off! 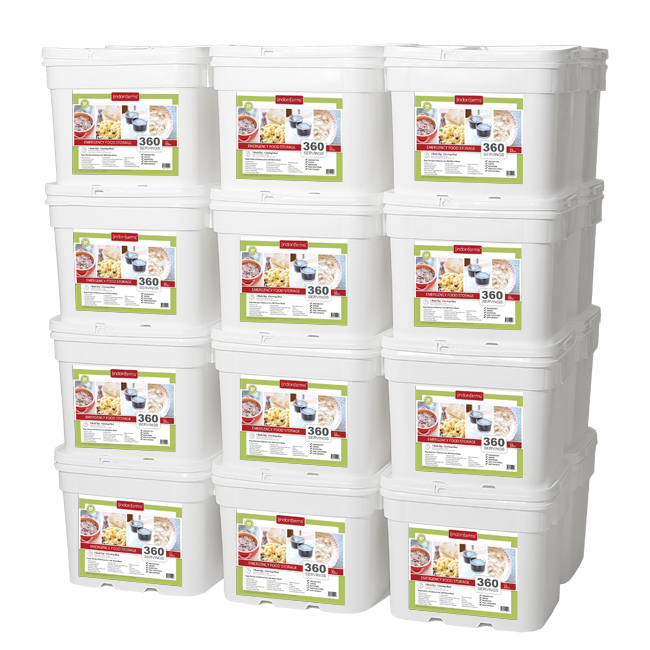 These excellent Lindon Farms buckets are bargain priced at Safecastle to begin with, and now for the next three weeks only (thru 3/7/12), we are offering a coupon code you can use to knock an ADDITIONAL 15% off your member or non-member price!! Click the "apply" button, and presto! Be amazed at what a great price this brings you. And of course it ships FREE. Note that the larger the food package is, the better the deal. 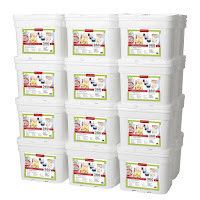 Lindon Farms™ is the new way to do food storage. With the finest quality ingredients blended in the most delicious recipes on the market, all the work is done for you – you just add water and serve! Each 360-serving emergency food storage container has 19 different just-add-water gourmet meals that are perfect for long-term storage, for regular meals, or to throw in your backpack. Each meal is conveniently packaged in a 5-10 serving, zipseal, metalized pouch with an oxygen absorber to ensure an oxygen free environment. This allows you to enjoy a shelf-life of up to 20 years when stored properly in a cool, dry place. The official "Act of Valor" site. Preparedness is about being ready--being ahead of the curve for disaster. It seems quite likely an economic Armageddon is imminent. 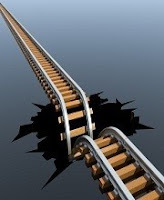 The actual trigger could be one of many potential ignition sources … a default, collapse, and revolution in Greece; the collapse and dissolution of the European Euro; eruption of a hot war in the Middle East; hyperinflation loosed upon America (probably inevitable), and so on. As mere pawns in the great game, we wield little capacity to impact events beyond our immediate personal radius. But what we CAN do, we MUST do in short order if you feel an obligation to protecting and providing for your loved ones in a future systemic and social calamity. Assume the worst, within reason. Consider that many of the day-to-day services you take for granted will be interrupted for an unknown length of time. Water, fuel, electricity, food, health care, transportation, police and fire response, and employment are all perceived as American entitlements—but so also they are all susceptible to macro collapse. Withholding any one of those from a community would be disastrous--imagine all of them suddenly disappearing. 1. Have cash and precious metals on hand—and not just in the bank. Pretty obvious, I think. 2. Build up your cache of emergency storage food—the kind that you know how to prepare and enjoy eating. 3. Store as much drinking water as you can and rotate it every six months to keep it fresh. Have on hand a good water filter and purification tablets, as well as the means to boil water over a fire. 4. In any truly chaotic scenario, self-defense is a must. Gun ownership in America is a right. Know how to use your weapons and practice with them before you need to count on them. 5. 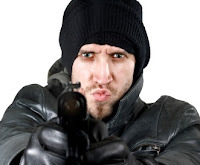 In that self-defense vein, look at how you can fortify your home. How would you make it look uninviting from the outside. How can you make the structure as robust and defensible as you can? 6. Acquire a back-up power source. Options are many today, to fit any budget. Solar, wind, gas, diesel, propane. You may not be able to afford a back-up power supply to run your home or even your refrigerator, but at the very least aim to be able to charge a laptop, phone, batteries for radios, flashlights, etc. 7. First aid supplies and prescription medicines—stockpile what you and your family will need. Many physicians today are OK with getting you additional prescription medicine—particularly if you are planning on extended travel (wink). Once you start thinking in these terms, you can continue adding to this plan of action, but the key is to get the basics squared away first. Adjust according to your personal situation, your neighborhood (certainly get to know as many of your neighbors now as possible), your climate, your budget, and your comfort level. Should the worst actually come to pass, the initial critical advantage you and yours will have is the ability to stay put—hunkered down in relative safety. On the other hand, those who continue to hold to the dissolving American "birthright" of unending entitlements will be the ones having to go out in desperation to fight for the basics in the concrete and asphalt jungle. We are gearing up to launch a new survival game online that we will be tying into our Safecastle buyers club. We can't say too much about it yet, but will be spilling more of the beans in the next few weeks. In the meantime, we are offering $25 Safecastle Gift Certificates for every ORIGINAL multiple-choice survival scenario submitted by Feb. 24, that we select for use in our game. We are looking for a brief description of a dire situation, along with 4 or 5 multiple choices that folks might make in reaction to the situation. There might be more than one "right" response, but some will be better than others according to our point system. With each submission, we ask for a brief description of a perilous situation. Propose a challenging decision and several (4 or 5) choices to choose from. We also ask for the author's viewpoint and explanation as to why they believe some choices might be better than others. Creativity and originality are prized. Moral choices, as well as scientific, physical, and other mixes of dilemmas are welcome ... and so too is a touch of humor, if it fits. Scenarios may be taken from current events, future events, or historical events. Bottom line--we are looking at helping our game players gauge their ability to survive in tough situations. We reserve the right to edit any Qs&As to suit our game. All submissions become the sole property of Safecastle LLC. Safecastle is released from all financial renumeration or any other subsequent obligations, and the company is free to use selected submissions in any way we choose. Each Q&A submitter, by sending in a Q&A set, attests to the fact that they are the originator of the scenario and are alone authorized to offer the Q&As to Safecastle for consideration to be used in the upcoming game. Safecastle agrees to provide a $25 gift certificate to the author for each set of Qs&As selected for use in the game. Economist Williams: "This is End of the World Stuff"
Economist John Williams, CEO of ShadowStats.com, in an eye-opening interview: "This is a no-win situation ... I guarantee you, the US government is bankrupt ... Have a back-up of at least several months of supplies ... Buying canned food is a better investment than buying a treasury bill." The explosion of quakes in and around Japan in March is outrageous. Hot New Product: "Stove in a Can"